Pokhara International Airport update Ph: 012238872, 9841735882 Embedding on websites are allowed. © All Rights Reserved. Three celebrities Reecha Sharma, Aayushman Desraj and Priyanka Karki's fun filled interview with Canada Nepal. Interview By: Madan Rijal Camera By: Milan Dhungana visit us at: www.canadanepal.com #priyankakarki, #aayushmandesraj, #canadanepal, Ph: 012238872, 9841735882 Embedding on websites are allowed. © All Rights Reserved. An exclusive interview with hot pairing of Nepali film industry, Anmol KC and Suhana Thapa who are coming to big screen with their film Ae Mero Hajur 3 which is directed by Jharana Thapa. Watch the fun filled chemistry between this couple right here on Canada Nepal. Interview By: Madan Rijal Camera By: Milan Dhungana #suhanathapa, #anmolkc, #canadanepal, Ph: 012238872, 9841735882 Embedding on websites are allowed. © All Rights Reserved. Nepali celebrities cricket game for building Gautam Buddha International Cricket at Nepal initiated by Dhurmus Suntali Foundation. visit us at: www.canadanepal.com Ph: 012238872, 9841735882 Embedding on websites are allowed. © All Rights Reserved. Ujili's first Music video shooting report.... Ph: 012238872, 9841735882 Embedding on websites are allowed. © All Rights Reserved. Twinny girls Prisma Princy interview with singer Pramod Kharel about their new music video which is releasing this week. Interview By: Madan Rijal Camera By: Milan Dhungana visit us at: www.canadanepal.com #canadanepal, #twinnygirls, Ph: 012238872, 9841735882 Embedding on websites are allowed. © All Rights Reserved. An exclusive Rapid Fire with actress Suhana Thapa. Suhana Thapa is debuting as an actress from the film Ae Mero Hajur 3 featuring with Anmol Kc. Jharana Thapa has directed the film and Sunil Kumar Thapa has produced the film. Interview By: Madan Rijal Camera By: Milan Dhungana visit us at: www.canadanepal.com #suhanathapa, #canadanepal, Ph: 012238872, 9841735882 Embedding on websites are allowed. © All Rights Reserved. Ph: 012238872, 9841735882 Embedding on websites are allowed. © All Rights Reserved. Actor Deepak Raj Giri Birthday Celebration video... Ph: 012238872, 9841735882 Embedding on websites are allowed. © All Rights Reserved. Grand fashion show held at Pokhara Ph: 012238872, 9841735882 Embedding on websites are allowed. © All Rights Reserved. Popular comedian actor Kedar Ghimire 'Magne Budo' has celebrated his birthday with comedian actors team at Radio Audio premise. Watch the video coverage. visit us at: www.canadanepal.com #magnebudo, #canadanepal, Ph: 012238872, 9841735882 Embedding on websites are allowed. © All Rights Reserved. 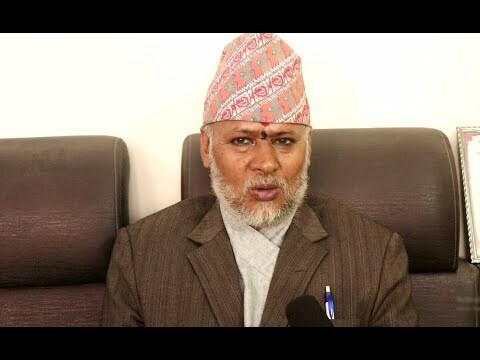 Dr. Surendra Kc speaks about the recent political issue of Nepal where he clarifies all the issues of the recent politics. An exclusive interview with Canada Nepal. Interview By: Santosh Niraula Camera By: Elisha Bista visit us at: www.canadanepal.com #surendrakc, #canadanepal, Ph: 012238872, 9841735882 Embedding on websites are allowed. © All Rights Reserved. Anmol KC and Puja Sharma along with Aakash Shrestha has returned to Nepal from United Kingdom. Watch the report from Airport. #canadanepal, #pujasharma, #anmolkc, Ph: 012238872, 9841735882 Embedding on websites are allowed. © All Rights Reserved. Anmol Kc and Suhana Thapa along with Jharana Thapa during the interview after the show of A Mero Hajur 3. visit us at: www.canadanepal.com Ph: 012238872, 9841735882 Embedding on websites are allowed. © All Rights Reserved. 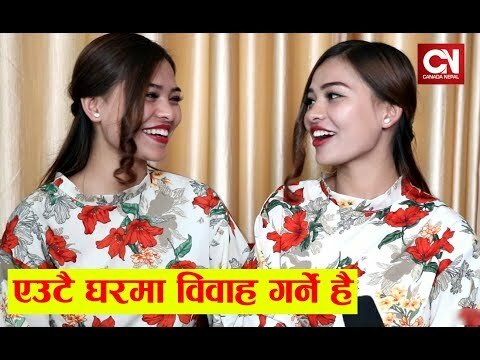 Tiktok hit twin girls Deepa - Damanta's exclusive interview on Canada Nepal about their story of being in tiktok and their popularity. Interview By: Santosh Niraula Camera By: Dhruba Shrestha visit us at: www.canadanepal.com #deepadamanta, #canadanepal, Ph: 012238872, 9841735882 Embedding on websites are allowed. © All Rights Reserved. Talk with Priyanka and Aayushman................ Ph: 012238872, 9841735882 Embedding on websites are allowed. © All Rights Reserved. Tiktok hit Twinny Girls Princy and Prishma Khatiwada on Canada Nepal where they shares how they have became viral and how they are winning hearts of audience. Watch an exclusive interview on Canada Nepal. Interview By: Santosh Niraula Camera By: Dhruba Shrestha visit: www.canadanepal.com #twinnygirls, #canadanepal, #tiktokviralgirls, Ph: 012238872, 9841735882 Embedding on websites are allowed. © All Rights Reserved. Watch the hall report of the new released movie Purano bullet where actress Barsha Siwakoti and audiences gives their feedback after watching the movie..... Ph: 012238872, 9841735882 Embedding on websites are allowed. © All Rights Reserved. An exclusive interview with Barsha Raut and Sara Sirapali about their bonding and Barsha Raut speaks about her happy married life. #barsharaut, Ph: 012238872, 9841735882 Embedding on websites are allowed. © All Rights Reserved. Astrologer Ojraj Lohani interview about the prediction of the Nepal on this new year. An exclusive interview on Canada Nepal. visit us at: www.canadanepal.com #ojrajlohani, #canadanepal, Ph: 012238872, 9841735882 Embedding on websites are allowed. © All Rights Reserved. New released movie Yatra Hall review... Ph: 012238872, 9841735882 Embedding on websites are allowed. © All Rights Reserved. Fun talk with Pradeep Khadka, Jassita Gurung and Ashma Bishwokarma.... #Pradeepkhadka #JassitaGurung #AshmaBishwokarma Ph: 012238872, 9841735882 Embedding on websites are allowed. © All Rights Reserved. Pilot who survived from plane crash is at hospital under treatment. His condition is updated at this video. Ph: 012238872, 9841735882 Embedding on websites are allowed. © All Rights Reserved. New nepali film Ae Mero Hajur 3 premiere held at Kathmandu where we can see Anmol KC and Suhana Thapa attending the premiere and the craze of this couple. visit us at: www.canadanepal.com #canadanepal, #anmolkc, #suhanathapa, Ph: 012238872, 9841735882 Embedding on websites are allowed. © All Rights Reserved. 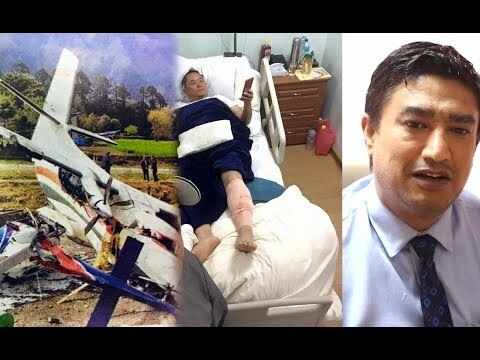 British citizen Philips is in Nepal and he is at critical situation and he needs support to recover and go back to his nation. Watch the video where the social activist have tried their hand to collect money for Philips. visit: www.canadanepal.com #philips, #canadanepal, Ph: 012238872, 9841735882 Embedding on websites are allowed. © All Rights Reserved. An exclusive rapid fire with actor Salin Man Bania. Salin Man is coming with his second film Yatra - the musical vlog. He is promoting his film with high media appearance and interviews. Interview By: Madan Rijal Camera By: Milan Dhungana visit us at: www.canadanepal.com #salinmanbaniya, #canadanepal, Ph: 012238872, 9841735882 Embedding on websites are allowed. © All Rights Reserved. The with the team member of the popular dance crew of Nepal The Cartoon Crews, Aashma Biswokarma and Saroj Adhjkari.... Ph: 012238872, 9841735882 Embedding on websites are allowed. © All Rights Reserved. New movie Love Station review .... Ph: 012238872, 9841735882 Embedding on websites are allowed. © All Rights Reserved. An exclusive interview with Anil Keshari Shah and Priyanka Karki about their teamwork and much more. Watch an interview on Canada Nepal. Interview By: Madan Rijal Camera By: Milan Dhungana visit us at: www.canadanepal.com #priyankakarki, #anilshah, #canadanepal, Ph: 012238872, 9841735882 Embedding on websites are allowed. © All Rights Reserved. 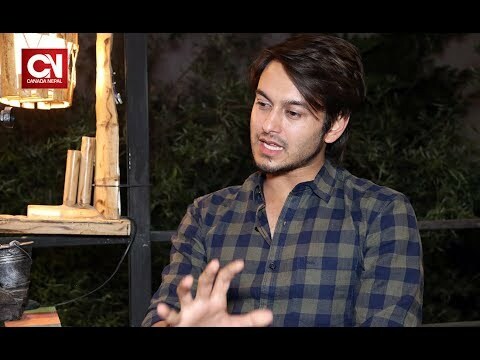 Actor Pradeep Khadka open up with Madan Rijal during an interview where he shares how he tried to leave the country after he failed at films as an actor and producer. A must watch interview. 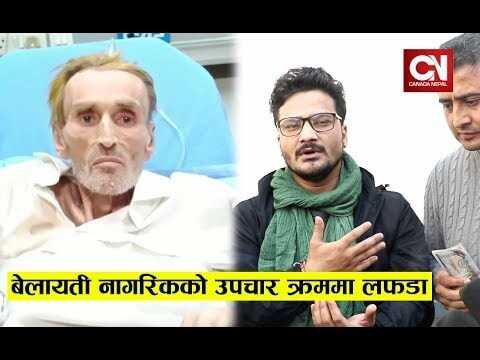 Interview By: Madan Rijal Camera By: MIlan Dhungana visit us at: www.canadanepal.com #pradeepkhadka, #nepaliactor, #canadanepal, Ph: 012238872, 9841735882 Embedding on websites are allowed. © All Rights Reserved. An exclusive interview with Yatra's actors Salin Man Baniya and Malika Mahat about their pairing and chemistry in the film. 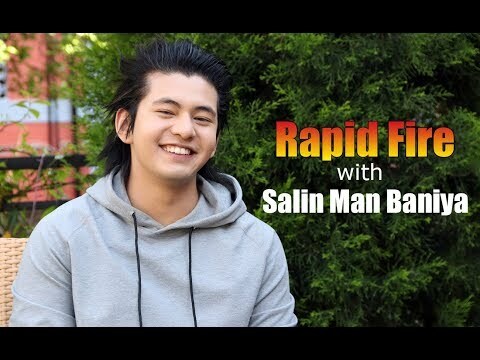 Interview By: Madan Rijal Camera By: Milan Dhungana #canadanepal, #salinmanbaniya, visit us at: www.canadanepal.com Ph: 012238872, 9841735882 Embedding on websites are allowed. © All Rights Reserved. 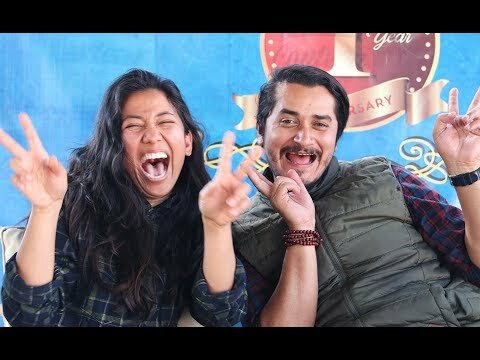 Comedian actor Subodh Gautam and his wife interview where they shares their love story and how they are tackling their married life with ups and down. 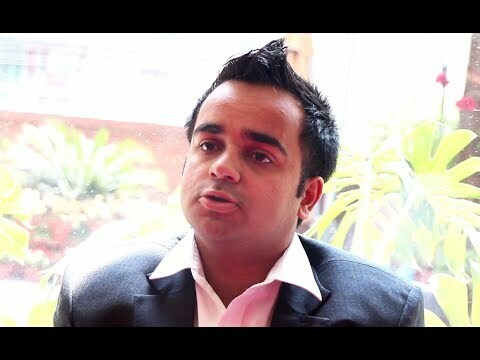 Watch this exclusive video interview on Canada Nepal. visit: www.canadanepal.com #subodhgautam, #canadanepal, Ph: 012238872, 9841735882 Embedding on websites are allowed. © All Rights Reserved. 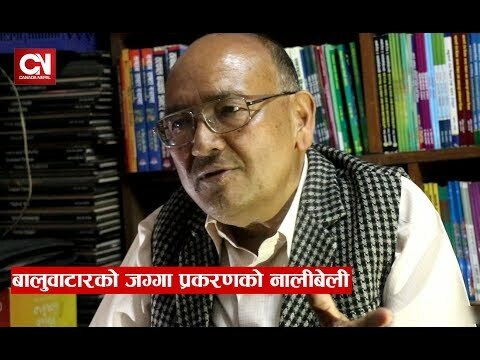 Dr. Surendra Kc's interview about the recent political scenario of Nepal as well as he shares his view on the issue of distributing citizenship. A must watch interview. Interview By: Manoj Manav Camera By: Dhruba Shrestha visit us at: www.canadanepal.com #surendrakc, #canadanepal, Ph: 012238872, 9841735882 Embedding on websites are allowed. © All Rights Reserved. Beautiful actress Aanchal Sharma's Birthday celebration with family and canadaneppal team at mid night...... Ph: 012238872, 9841735882 Embedding on websites are allowed. © All Rights Reserved. For more Info: Tattoo House At Old Baneswor www.tattoohousenepal.com Contact no. 9849443624 / 014488370 Ph: 012238872, 9841735882 Embedding on websites are allowed. © All Rights Reserved. Talk with Gaurav Pahari and Menuka Pradhan about their new upcoming movie Saili...... Ph: 012238872, 9841735882 Embedding on websites are allowed. © All Rights Reserved. Pradeep Khadka and Jassita Gurung shares about the film Love Station and their chemistry on the film. Both of them were featured in the film Lily Bily and now they are coming on Love Station together. #pradeepkhadka, #jasitagurung, Ph: 012238872, 9841735882 Embedding on websites are allowed. © All Rights Reserved. Rishi Dhamala's wife Aliza Goutam has celebrated her birthday at her home along with her family members and Dhurmus Suntali. Watch the video coverage. #rishidhamala, #dhurmussuntali, #alizagoutam, #canadanepal, Ph: 012238872, 9841735882 Embedding on websites are allowed. © All Rights Reserved. Tiktok viral queen Amita Gurung's home and family interview where they makes the interview emotional. #amritagurung, Ph: 012238872, 9841735882 Embedding on websites are allowed. © All Rights Reserved. Lassi shop at Indrachowk has became very popular during summer. Watch the video coverage where the customers and owner shares the success of the lassi. visit us at: www.canadanepal.com #indrachowkkolassi, #canadanepal, Ph: 012238872, 9841735882 Embedding on websites are allowed. © All Rights Reserved. Astrologer Harihar Adhikari is debuting as an actor from the film Subhalove and he is pairing with debutant actress Cristin. Watch an exclusive interview with Harihar and Cristin right here on Canada Nepal. Interview By: Madan Rijal Camera By: Milan Dhungana visit us at: www.canadanepal.com Ph: 012238872, 9841735882 Embedding on websites are allowed. © All Rights Reserved.